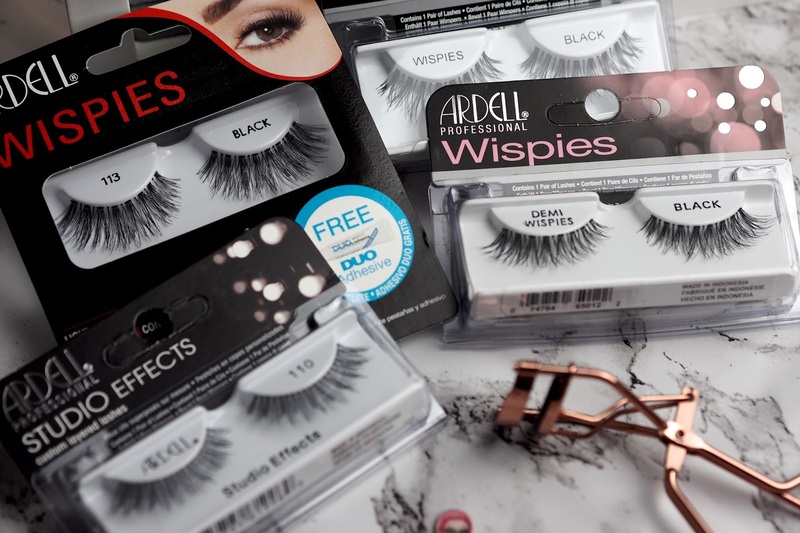 We’re onto Week 3 of my False lashes review posts, or Day 8 of Blogmas! 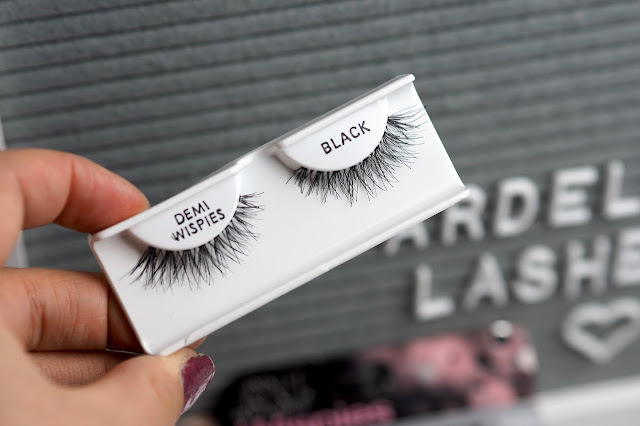 You can catch up with last weeks review here which was all about the Morphe Lashes. 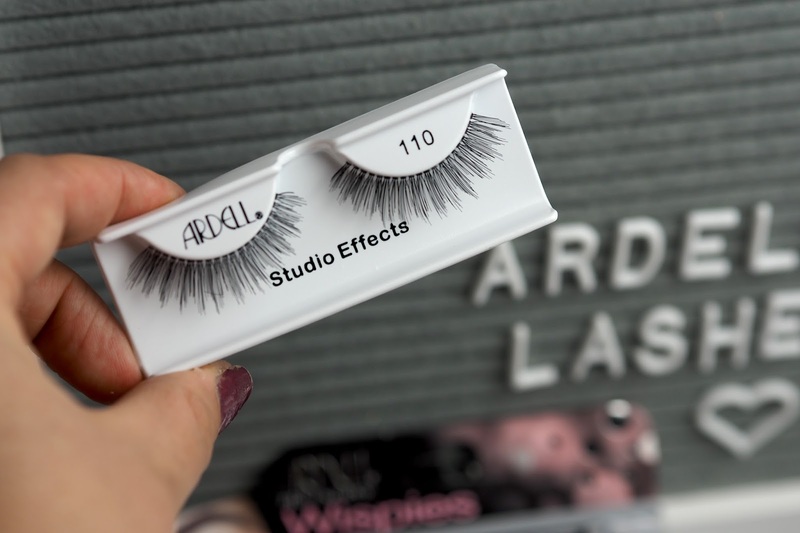 This week, the brand in focus is Ardell - typically one of the most popular brands of lashes out there! 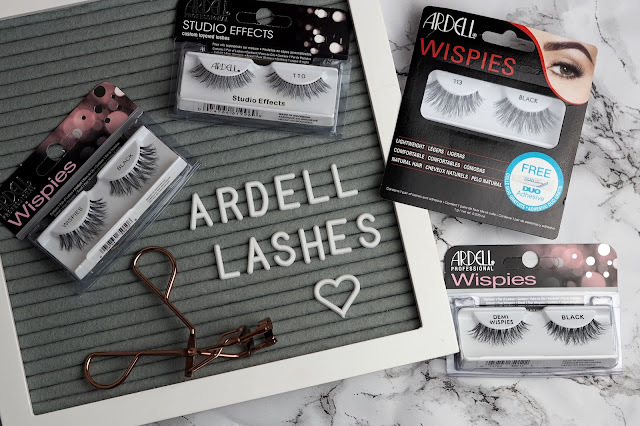 Ardell have so many different types of lashes and have also been nominated the best lashes there are by tonnes of celebrities! 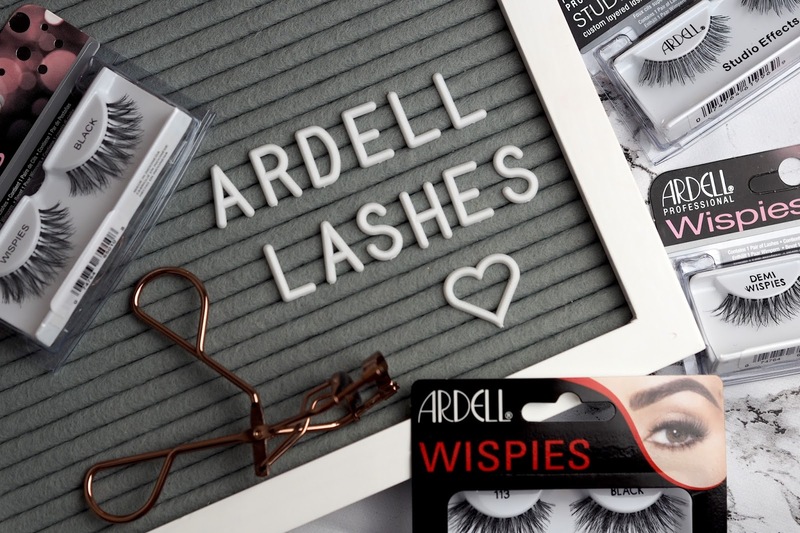 I’ve tried Ardell lashes before - always reaching for the Demi-Wispies which are fluttery and have a graduated mixed length that makes them look more natural but still gives the length and definition I like to have from False lashes. This week, I have tested 2 of the 4 pairs of Ardell lashes that I have as I felt that one of them wouldn’t be for me and the other, were very similar to the Demi-Wispies so I wanted to try something new. So, the ones I didn’t use are the Studio Effects (above) and the Dem-Wispies (below) but you can see the type of lashes these are. I like mine a little longer and wanted to try new lashes so I’ve left these for another time. The lashes are beautifully made with very fluttery lashes and a lovely, flexible band. They don’t come with glue unless you get the bigger packs that state that they come with a mini Duo glue but that doesn’t bother me. I don’t need to trim these lashes either, both pairs I’ve worn have fit my eyes perfectly so there’s no fiddling about with them before they go on! I’ve worn both pairs twice now and they clean up great. 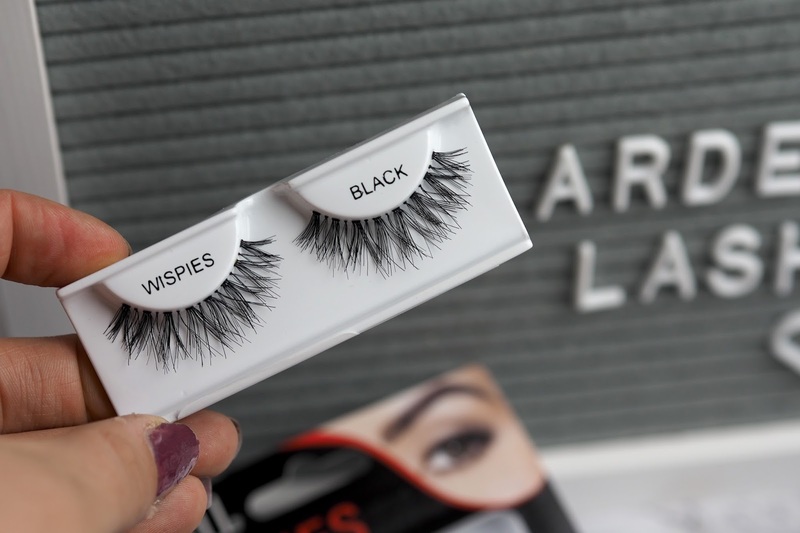 You do need to be careful as the lashes bend out of shape easily but you wouldn’t know that the lashes have been worn if you clean and maintain them properly. 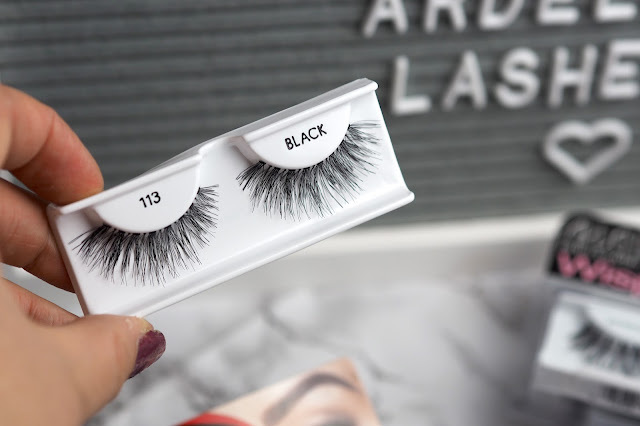 Remember to remove any excess glue from the band before you re-apply and if needed, use eyelashes curlers to give them a little bit of a curl. My favourite of the two I tried definitely has to be the 113’s - they have great length without looking too long for my eyes. They give the look I’m after especially when I’ve got eyeshadow on (I have used Younique Cream eyeshadow in Ferocious with a glitter liner from Collection and a Jolie Beauty glitter under my eye) or if I’m just looking for big lashes! They apply easiest of out the 3 brands I’ve tried so far with very minimal effort needed to apply. I use tweezers to apply all of my lashes starting from the middle then the outer edge then the inner corner and I leave the glue to dry for 1 minute before applying - this way it’s nice and tacky and won’t slide around on my eyes. They’re also really affordable for lashes that you can get multiple uses from, I’d probably say you’d get at least 5 wears from them, perhaps more, but I’m only on wear 3 of my 113 pair so I couldn’t be precise.